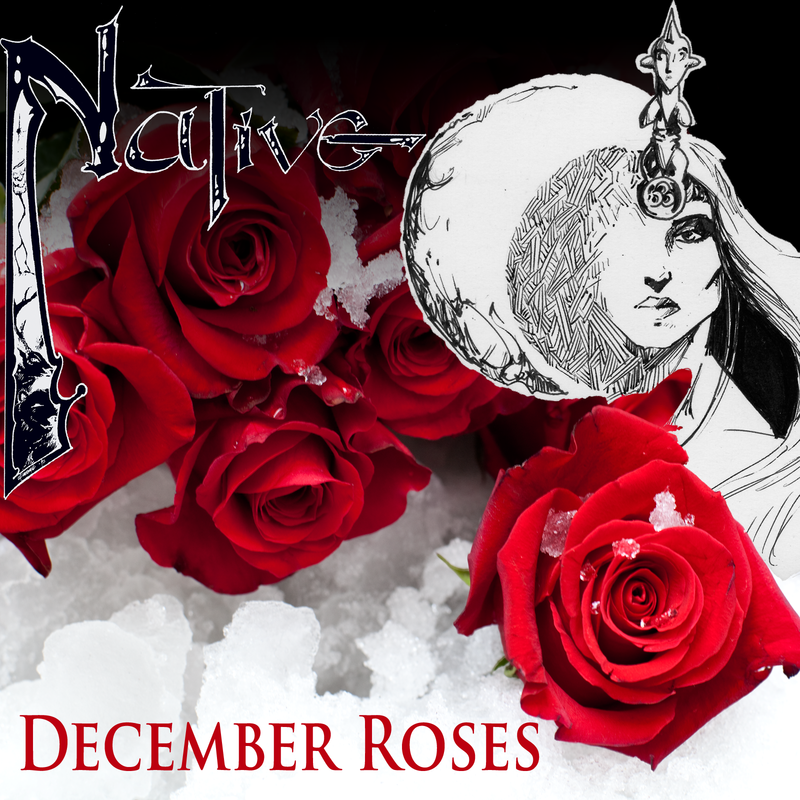 Just in time for the festive season, Native is releasing an all-new mini-album — December Roses! Recorded by the full band linep-up: Mat Hutt (Vocals, Guitar), John Wood, (Vocals, Percussion), Mike Jaimes (Vocals, Lead Guitar), Matt Lyons (Bass), Chris Wyckoff (Keyboards), and David Thomas (Drums, Vocals). Produced by John Fitzwater & David Thomas, December Roses displays a band at the peak of its powers. The performances are stellar, with Mat, Woody & Mike harmonizing better than ever, the rhythm section of Mat Lyons and Dave Thomas cooking up one hot groove after another, & the extraordinary flights of incendiary, cosmic guitar virtuosity of Mike Jaimes at his apex. Throw in the Cajun-infused piano of Chris Wyckoff, and wonderful guest appearances by Catherine Russell and Lizzie Friel (aka, Lizzie Love), and you have the perfect choice for holiday listening. Or, any day, for that matter. December Roses is not a Christmas album, per se, but rather a meditation on the feelings one gets this time of year, which in the contradictory-logic of Native, makes it a perfect summer album as well. Check it out today! And, remember — there’s no better holiday gift than December Roses. Coming soon to all other online music retailers.